Marbled Eye is a band from Oakland, CA that I almost went to see when they were here in Pittsburgh on August 30th. I wasn't familiar with the band at all, but I liked the description, the quick listen I did, and the name of the band. Low on cash and feeling kinda down, I skipped out on it. I don't regret missing the show, but I figured I would review Marbled Eye's EP to get a better grasp on the band. EP has a pretty cool cover, a monochromatic blue on white and looking like a Katsuhiro Otomo drawing. The textural image matches the sounds nicely. However, I don't like the text on the left. It looks almost good, but I have issues with the different thicknesses, angles, and the odd 'm'. It looks like there was not much of a plan to it. If they had taken some more time to give it a cohesive look, this would be a great cover image. Their previous release, the self-titled Marbled Eye, used the same style of text but made it the focus of the image, a mystery to untangle and sort out amidst puzzle pieces and dominoes. The EP starts with "Former" with guitars like rays of light and monotone vocals. It's good, but I wish the vocals were more exciting; they seem to be going for something Gang of Four might have sang on Entertainment but not of the same caliber, the bass not as strong. I do like when the vocals are consumed by reverb at the end, and the lead guitar is great. Next is the more bass-heavy "Dirt" with rattling guitars that begin to sound like Murray Street Sonic Youth. This is a much more upbeat song in tone, and the production is much more open. When the vocals come in, things are a little more muddy, more negative. They sound like a mix of Syd Barret and Alan Vega. It continues to also sound like Sonic Youth. During this song, I began to think the production was a little off. Third is "Feast", not unlike the previous song. It still has that later-era Sonic Youth tone, but the vocals aren't as much Barrett/Vega. I actually really like the vocals on this one; they aren't too deadpan and the rhythm is cool. The guitars go into a mysterious zone, accompanied by uncertain drums, the bass driving them to their destination. This is my favorite song on the EP. This last one, "Objects" is a close second; it's also really good. It has the vocalist from the first song, who I don't find as exciting. However, the instrumentals parts are some of the most interesting on the whole release. The Morse code guitars lead the pulsing bass and the syncopated drums. It ends with a really cool drone tone that's probably just the last glimmer of one of the stringed instruments. Marbled Eye's EP is a reasonable effort, but it is nowhere near a masterpiece. My main issue is with the production. Everything seems too tinny and thin. The bass can rumble but it lacks real power, and the drums are far too slight. It pains me a bit to listen to this, though the songs are pretty good. Despite the production, the instruments play some really interesting bits, but the vocals drag the songs down too. Finally, EP is not anything that hasn't been done before. The unwary might mistake this for an early-2000's post-punk revival record or even for one of the originals from the late 70's to 80's. 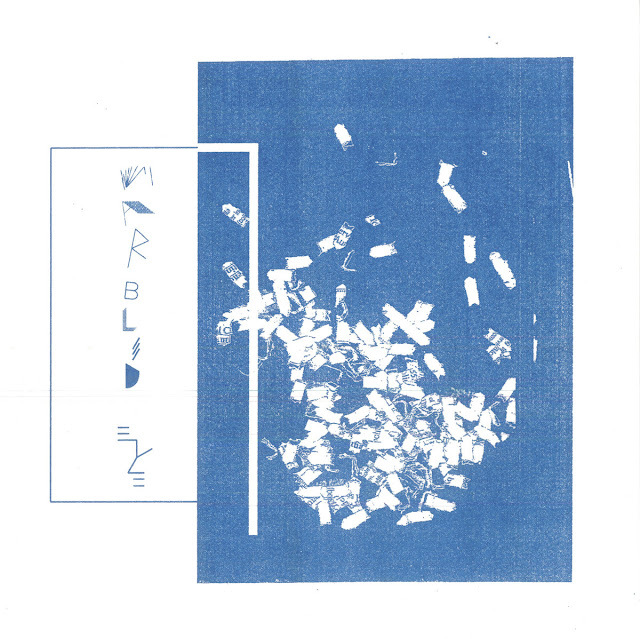 I think Marbled Eye could have a lot to offer, but I cannot give their EP more than a Neutral.